Making duck confit sous vide means two things: no need for buckets of rendered fat, and an insanely silky, fork-tender texture, thanks to precise temperature control. There are few preparations better suited to sous vide cooking than confit, a technique that traditionally involves gently cooking a meat in its own rendered fat. When you use sous vide to make duck confit, there’s no need for any extra rendered fat, because the small amount that renders from the duck legs in the tightly sealed vacuum bag during cooking is more than enough. And, thanks to the precise temperature control, you can cook the legs for an insanely silky and fork-tender texture. When cooked at a precise, low temperature, the duck comes out exceptionally silky and tender. The tight space of a vacuum-sealed bag holds the small amount of fat that renders from the duck leg all around it, reproducing the submerged effect of the classic method without the need for copious amounts of rendered fat. Set up an immersion circulator and preheat the water bath to 155°F (68°C). Season duck all over with salt and pepper. Rub garlic onto the meaty side of each leg and set a thyme sprig on top. 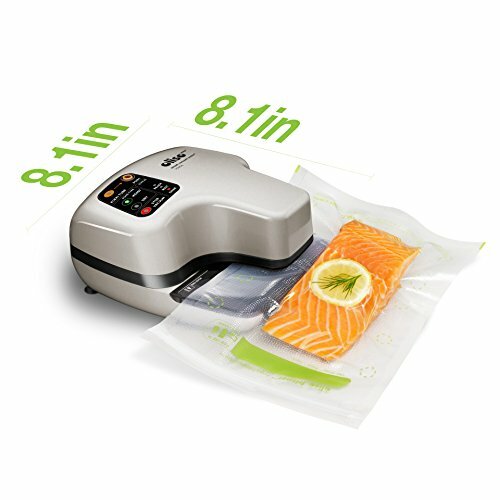 Slide duck legs into vacuum bags and seal according to vacuum-sealer manufacturer's instructions. Add sealed duck to water bath and cook for 36 hours. Make sure to top water up occasionally as it evaporates, and keep bag completely submerged. If bag floats, weigh it down by placing a wet kitchen towel on top of it. Remove duck from water bath and transfer to refrigerator to chill. The duck can be kept refrigerated within the sealed bag for up to 1 week. When ready to use, remove duck from bag and scrape away thyme sprigs and excess fat and juices. Use duck confit according to any recipe you have; it can be cooked in a 450°F (230°C) oven or broiled until the meat is heated through and the skin is browned and crispy, about 7 minutes. This recipe can easily be scaled up or down for any number of duck legs you want to make. After being cooked sous vide, the duck can be kept refrigerated, within its sealed bag, for up to 1 week.